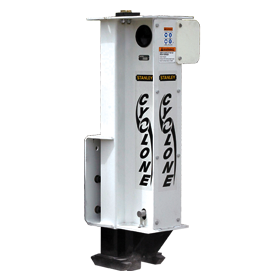 The Cyclone Drop Hammer was developed specifically for the demolition and recycling industries to break-up or crack concrete slabs. 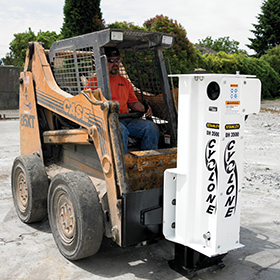 Shock Free - Patented “skid” system keeps the Cyclone grounded and dissipates the shock as it pulverizes the concrete. 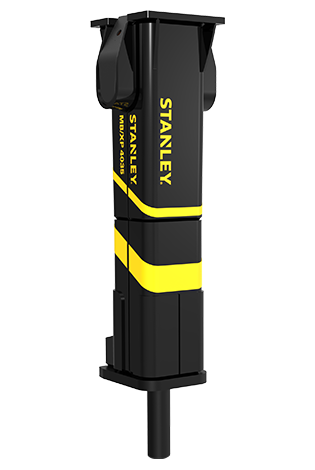 Moveable Hammer Pin - For adjusting impact energy. Minimal Setup Time - Increased productivity. 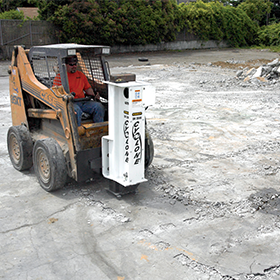 Low Maintenance - Field serviceable, no special tools required. 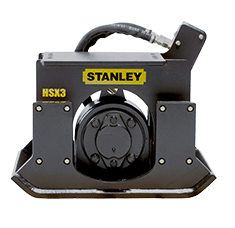 Heavy Duty Buffer System - Absorbs impact of a “mis-hit”. 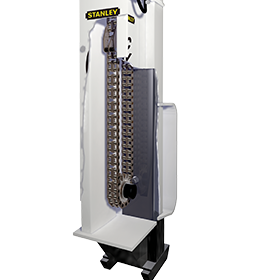 Easy Operation - Reduces operator error and fatigue. Compact Design - Makes transport simple. 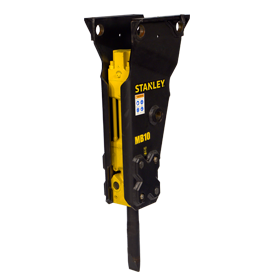 Simple Hook-Up - Allows for easy change of attachments. Low Investment - High production results in the lowest cost per yard-ton figures attainable.